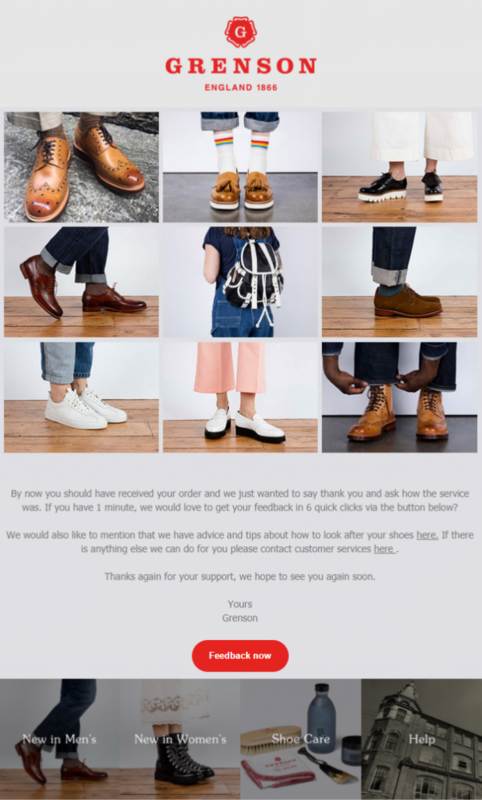 Having traditionally focused on newsletters, Grenson recognized the benefits of sending triggered messaging off the back of customer behaviors (i.e. an online purchase). The standard batch-and-blast model doesn’t deliver relevance, damages long-term engagement and runs the risk of churn. eMarketer* argues that data-driven automation is increasingly being adopted by brands as a consequence.